Update (August 1st, 2016): The Tournament Regulations for each of the supported games with single-game Swiss rounds have been updated to reflect the new method for resolving games which were previously treated as draws. A recent update to the tournament regulations for each game supported by Organized Play highlighted intentional draws as a valid outcome to a match that competitors could choose to employ. This inclusion was made in the interest of a fair competitive play environment after seeing the implications of draws as a possible outcome without also including intentional draws as a legal option. The existence of intentional draws levels the playing field for all if draws of any kind are allowed in a game’s tournament play. However, we have been listening to our communities of players and organizers following a noteworthy instance of intentional draws at a Regional Championship. One sentiment that resonated with many was that tournaments exist to bring people together to play games. We agree wholeheartedly with that goal, and we are charting a path toward achieving it more effectively. After discussion with game developers and organizers, we have identified viable methods for the removal of draws from the tournament experience for our games which feature single-game Swiss rounds. In our games which feature two-game Swiss rounds (Android: Netrunner™ and Star Wars™: The Card Game), we are not planning any change to the intentional split policy due to the frequency of matches which result in equal tournament points awarded to both players. This decision was not made lightly. We will be allowing the time necessary for these methods to be examined and fully tested before determining which will be used for resolving matches currently handled as draws. Each game's next Tournament Regulations update in July will include its new method, and it will become effective for tournaments starting August 1st, 2016. Until then, the current Tournament Regulations will remain in effect. We have received many messages on this topic; many simply wanted to know more about intentional draws. We would like to shed some light on the intent and purpose of this policy. This Organized Play-by-Play installment will explain what an intentional draw is, why they exist, and how they are different from collusion. Fantasy Flight Games publishes games which we believe fans will enjoy playing. 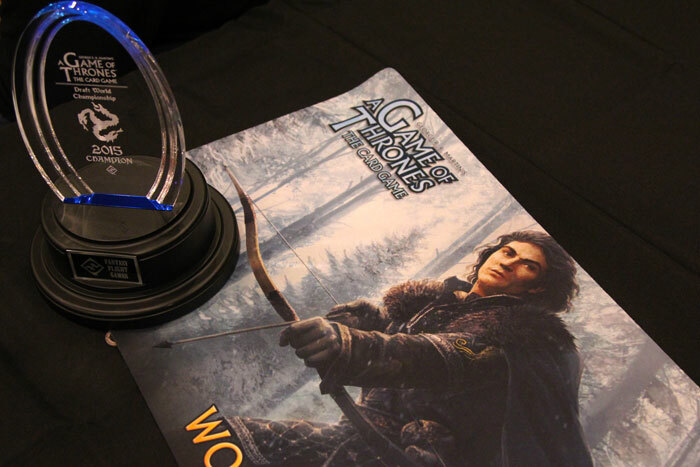 Similarly, FFG Organized Play designs tournaments for players to enjoy competing with our games. Importantly, enjoyment of gameplay can mean different things in different circumstances, even for the same person. Participants at a tournament will arrive with a selection of different and shared motivations and hopes for enjoyment. However, each is choosing to engage in a overlaid set of additional rules and regulations in order to enjoy their favorite game in a fair and organized environment. These rules and regulations are adjustments from the experience of playing the game purely for recreation. Ultimately, the two most important goals of an event are to support a fair gameplay environment and to provide opportunities for all competitors to enjoy playing our games, no matter what their motivations. We believe that the removal of draws from tournaments for our games with single-game Swiss matches will achieve those goals more frequently and allowing intentional draws in the meantime is necessary to meet the first goal. What is an Intentional Draw? An intentional draw is when all players in a match agree to forgo playing a single game and instead mutually agree to enter the result of a draw. While these most commonly occur prior to a match beginning, some are agreed upon after a match has begun. The valid reasons for accepting a draw in lieu of playing are many, but can typically be organized into three categories: time concerns, opponent considerations, and competitive evaluations. Importantly, all discussions pertaining to intentional draws between opponents at the tournament must be done in the presence of an event leader—the organizer, a marshal, or a judge. If a player wishes to discuss or offer an intentional draw, they should not do so in any manner before calling for a leader to oversee. There is no need to ask one's opponent if they would like to call a leader to discuss a draw; simply call for a leader. That leader will help to prevent players from inadvertently or purposely colluding with each other and assist in the proper method for agreeing to and entering an intentional draw. The key elements which differentiate collusion and intentional draws will be examined later in this article. As we begin to support more high-level and high-profile events for our games, it is very important that we identify and embrace the differences between purely recreational play and tournament play. One of these elements is recognizing that a fair play environment becomes more critical and harder to defend the greater the incentive to violate that environment. Nearly all games supported by FFG Organized Play are capable of naturally resulting in a tie: players are equally close to a victory condition when a time limit is reached, players destroy an opponent’s forces but lose their own in the process, or no one was able to achieve a set goal. Therefore, the tournament regulations for each game reflect this outcome by allowing for Swiss matches to conclude with a draw between competitors in those naturally reached scenarios. Players frequently reach a naturally tied game result with great effort, struggling for survival while grasping at the threads of victory. Effectively assigning each of those competitors a loss diminishes their efforts and leaves the experience hollow. When regulations encourage cheating, cheating tends to occur more frequently. Imagine each player in a match which is about to result in a natural draw. Each of them knows that it would obviously be preferable for one of them to earn some tournament points instead of each effectively earning a loss if draws are equivalent to a loss. Some players in that situation will be more likely to illegally determine the result of that match, undermining the integrity of the tournament. For these reasons and more, natural draws are currently allowed as part of tournament play, and assigned a value above that of a loss. But as past results have shown, if a match result can be produced via legal gameplay, players in a tournament will sometimes choose to play in that fashion to produce that result when they determine that it is in their best interest. Players are constantly expected to make decisions within a game to favor their best interests, even when it appears to contradict their primary goal. In cases where players identify that a draw would be mutually beneficial, they can intentionally play this way and achieve a natural draw over the course of a game. We had previously seen many instances of this occurring first-hand and received many second-hand reports of it from the global player and organizer community. 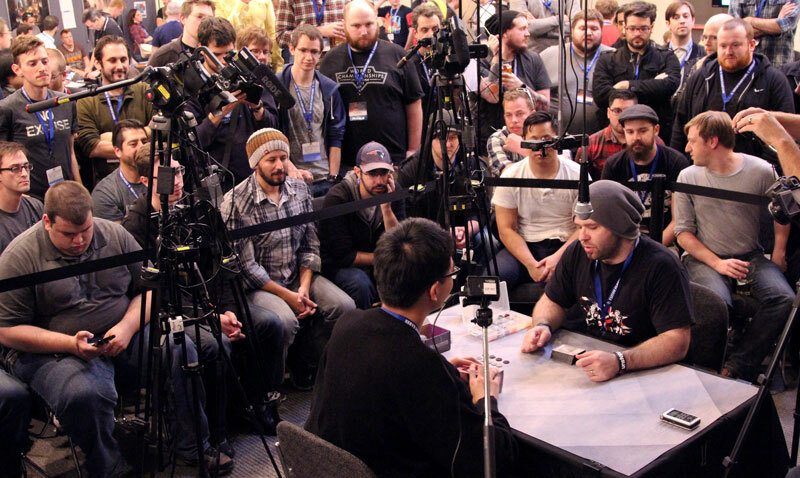 While we do not believe that it had become frequent on a local level, an increasing number of high-profile events had instances of players intentionally playing to a natural draw. Even if rules and regulations were written in an attempt to disallow players from intentionally playing legally to achieve a natural draw, those rules would be circumvented endlessly. As requirements for natural—and legal—draws would be added to the tournament regulations, new ways to play acceptably within those requirements and still purposefully achieve a natural draw would be discovered, and players willing to play in that fashion to achieve that outcome would still do so. While it may seem possible to allow an organizer or other leader to make determinations deeming draws “legitimate” or not, we would instead be creating scenarios in which the rules and regulations are applied unevenly, and such rules are unenforceable at the most prestigious and large events. Adding complexity are the myriad ways in which a player can pursue victory in many games, which are difficult to quantify or measure. Accordingly, we do not attempt to create rules which work against our goals of creating consistent play experiences and promoting a fair tournament environment. The only types of players that benefit from unenforceable rules are those that are willing to circumvent them in a manner that is still technically legal. Therefore, in the interest of the fair play environment required for competitions, we must make the compromise of allowing all players the choice to intentionally draw games with their opponents if natural draws are possible. When all players are empowered to select this result, the field is leveled between those players who want to follow the rules and those that know how to circumvent them. To further encourage competitors to play our games each round at tournaments, we are now pursuing another method to level that playing field. With the next tournament regulation updates in July, methods by which draws are eliminated from the tournament experience will be implemented for our games featuring single-game Swiss round. These changes will go into effect on August 1st, 2016. How is this Different from Collusion? Collusion among players to manipulate scoring at a tournament is a forbidden behavior that represents an illegal act and violates the integrity of the event. For collusion to take place, however, players must be acting outside of the rules and regulations for the tournament. By explicitly allowing players to offer and agree to an intentional draw with a leader present, we are deeming this action legal and not collusion. Players agree to record different scores or margins of victory than were achieved through gameplay in an attempt to grant the winner or loser better tiebreakers. Opponents extensively discuss an intentional draw with each other prior to calling for the assistance of an event leader. Players agree to delay the end of their match to first see the result of a match from which the winner will face the victor of their own match. They decide that the player with the worst chance of defeating that particular opponent next round will then concede the current match. Collusion is a violation of the integrity of an event which is usually so severe that the organizer must seriously consider disqualifying the players who chose to participate in that violation. Tournament play requires considerations to be made to allow for the recreational enjoyment of a game to coexist with the enjoyment of competition. Intentional draws are one of the elements which require the most in-depth analysis for their necessity and usage. As detailed at the beginning of this article, the removal of draws from tournaments for games featuring single-game Swiss matches is planned for the next tournament regulations update in July. These methods for resolving matches which would currently be treated as draws will be extensively tested prior to publication and will go into effect on August 1st, 2016. Thank you for taking the time to read this Organized Play-by-Play article and your continued interest in Fantasy Flight Games Organized Play. As always, any questions on FFG OP can be directed to [email protected]. More Organized Play-by-Play articles are available on the FFG Organized Play website.